August is typically a quieter month in the UK since it is peak holiday season but despite this, we received a diverse range of purchase orders, for instrumentation and annual service contracts. Severn Trent Water purchased another Proam ammonia monitor for final effluent measurement. Northumbrian Water purchased an engineered intake protection monitoring system for a drinking water production site. 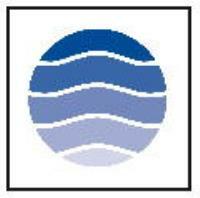 Turbidity instrumentation was supplied to Wessex Water and a Gloucester Paper Mill, for final effluent monitoring. The Chemitec turbidity sensor purchased for installation at a Dairy to communicate directly with the site PLC control system to alarm potential product ingress into a clean water system. 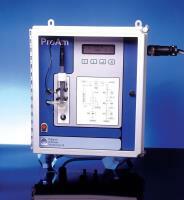 Internationally, we have supplied our Protoc TOC and Proam ammonia analysers to India. Additionally, we also completed our annual ISO9001:2015 audit and conducted a customer survey from which, we received very positive responses covering all aspects of our product supply, servicing and technical support. Severn Trent Water installs another Proam ammonia monitor: Another Proam ammonia monitor has been procured for a site in Severn Trent Water, to provide continuous final effluent discharge monitoring. The Proam has been extensively installed to measure final effluent water quality throughout the Severn Trent Water catchment. The instrument provides a local display of measured concentrations and output signals, so treatment processes can be efficiently monitored. The Proam analyser is installed immediately beside the final effluent channel, within a small frost protected GRP enclosure also containing the reagents, which include cleaning solution and calibration standards, used to maintain optimum performance and validate measurements. Northumbrian Water places order for another intake protection monitoring system: After previously engineering four intake protection monitoring systems to a common design, a fifth system has been procured by Northumbrian Water. The water quality monitoring system will be used at a water treatment works abstracting water for potable water treatment and comprises a digital interface, outputting measurement data over a Modbus protocol, to the site Scada system. Continuous measurement of DO, pH, conductivity and turbidity are performed using robust sensor technology installed within a PVC break-tank, with automatic sediment release. An optical probe using UV-Vis technology - reporting dissolved organics, nitrate and colour, is to be free issued to PPM who will integrate it onto the pre-assembled PVC back-panel. The sample and electrical distribution, will be pre-formed by PPM prior to delivery to site, minimising the installation time and associated costs. Protoc TOC and Proam ammonia Analyser sales to India: Our Indian distributer Forbes Marshal, has placed an order for a Protoc TOC analyser for their own in-house testing and have taken delivery of a Proam ammonia monitor for the Deepak Fertilisers and Petrochemicals Corporation Ltd. (DFPCL) who is among India’s leading producers of fertilisers and industrial chemicals. The instrument will be installed on the effluent treatment plant, monitoring the waste water coming from the fertilizer production facility. Please send me more information on PPM News - August 2018.